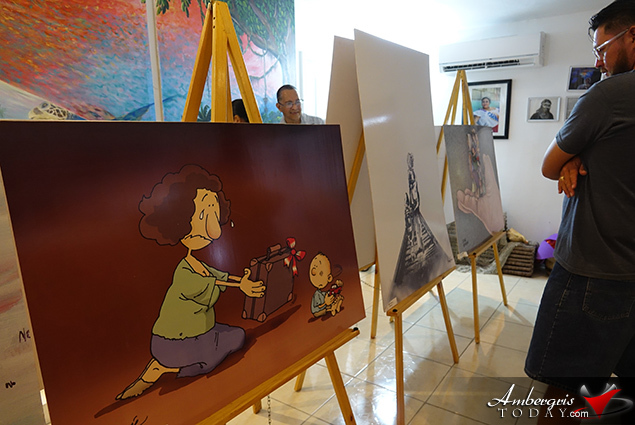 The San Pedro House of Culture along with The United Nations High Commissioner for Refugees (UNHCR) hosted the inauguration of the RefuiARTe Photo Exhibition. The exhibition illustrates the Refugee Crisis as portrayed by several Latin American artists including two from Belize. 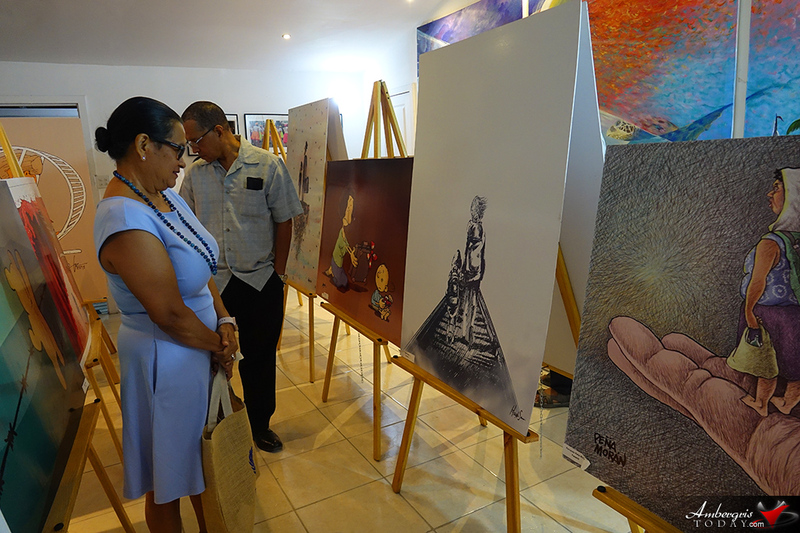 The RefuigARTe exhibition was first launched in December 2018 at Santa Elena to sensitize to the people of Belize about refugees. For people to become more compassionate to their peers that come from a refugee background. 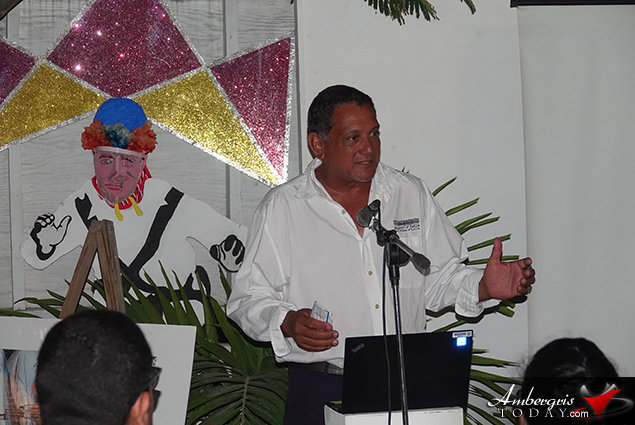 Those in attendance enjoyed a video of what UNHCR Belize is all about and some of their work here in the country, more specifically in the Valley of Peace and Armenia Villages. 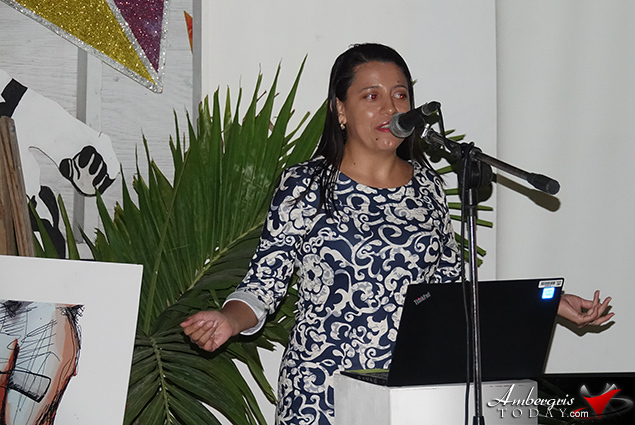 Mrs. Carla Rosado of NICH presented the Directors Remarks for the evening, while Ingrid Fernandez shared the special remarks. Chairman of the San Pedro House of Culture, Mr. Guillermo Paz delivered the vote of thanks. 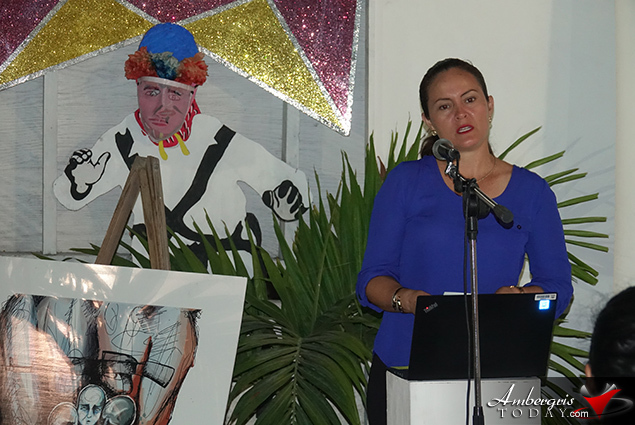 Ms. Ingrid Fernandez and Mrs. Carla Rosado then officially opened the exhibit after a symbolic ribbon cutting. The exhibit is open to the public and will be on the island for an entire month, feel free to head on over and view these wonderful illustrations. 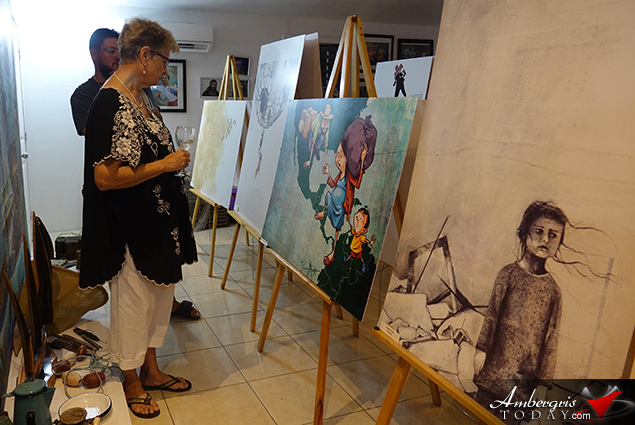 The #RefugiArte exhibit is a project that began to be developed in 2015 within the framework of the 50th anniversary of the UNHCR Regional Office for Southern Latin America. 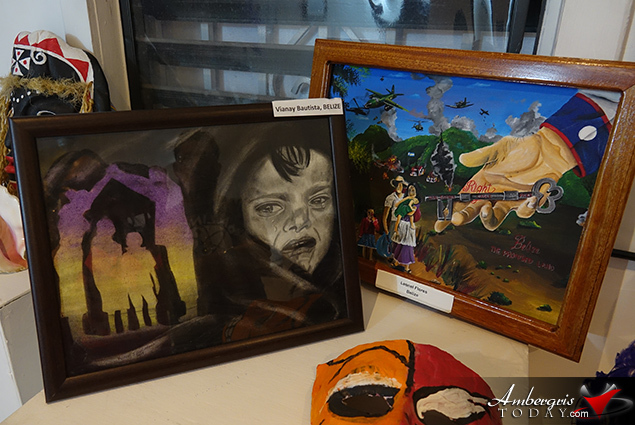 More than 40 artists from Argentina, Bolivia, Brazil, Chile, Ecuador, Paraguay, Peru and Uruguay joined in the commemoration through artwork that reflects the reality of refugees worldwide. Each illustration testifies to the odyssey of people fleeing war, violence or persecution, often risking their lives, crossing seas or walking thousands of miles to a safe place. #RefugiArte has been present in numerous spaces in the cities of Buenos Aires, Santiago de Chile, Antofagasta, San Luis, Quito, Lima, and Montevideo. 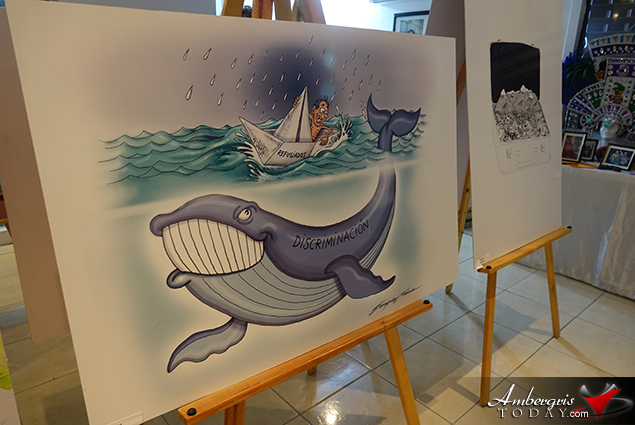 It has more recently been exhibited in Central America, where the UNHCR Regional Office for Central America, Cuba and Mexico, based in Panama, has taken this initiative and incorporated artists from Costa Rica, Cuba, Honduras, Mexico, and Panama, who also share their artwork (through illustrations and caricatures), especially in a region where violence has increased leading to a growth in forced displacement. The objective of this cultural action is to help raise awareness and disseminate, through art, the protection needs of refugees and internally displaced persons affected by violence, discrimination and intolerance in the world, making a joint cooperation effort for the sake of contributing to the visibility of what the refugee crisis represents for the whole world and to bring this issue closer to society in order to promote positive attitudes towards this population. UNHCR, a humanitarian agency established in 1950, is currently working to ensure the rights of more than 68 million forced displaced people, of whom almost half are children.